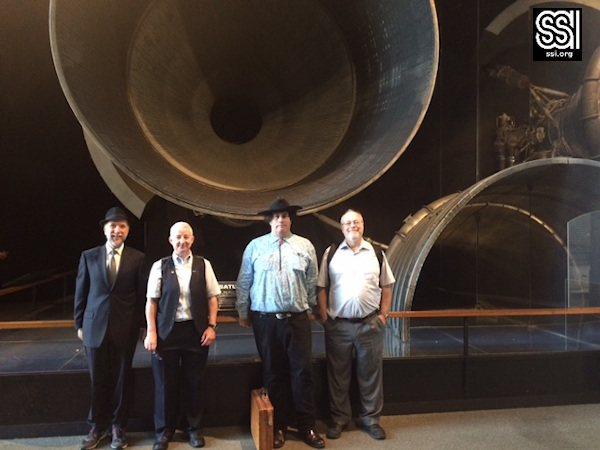 Earlier this month, several members of the SSI NIAC study team attended the NASA NIAC kickoff event in Washington, D.C. Besides delivering a short “elevator pitch” presentation, Professor Heidi Fearn and Drs. 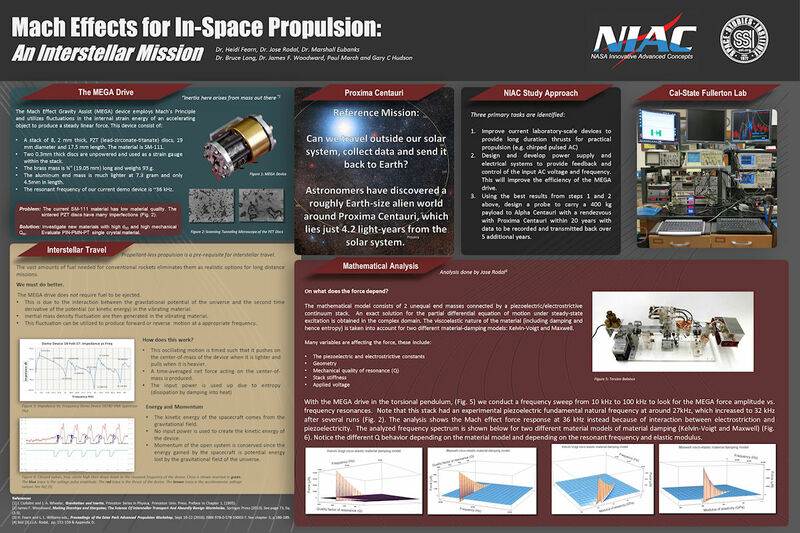 Marshall Eubanks, Bruce Long and José Rodal also presented a poster and slides which we’ve made available for download at the bottom of this post. We’re now about twenty percent of the way along our study, and as we proceed we’ll provide progress reports on both the experimental, theoretical and conceptual probe work being undertaken. Thank you very much for your personal support! For your copy of the DC Kickoff presentation slides PDF click here ! For more information on the SSI Exotic Propulsion Initiative, including links to the full set of videos from the 2016 Breakthrough Propulsion Workshop, see the main project page on SSI.org. Don’t forget, only with your personal support and generous contributions can we continue to turn great engineering ideas into positive realities. SSI is working today on The High Frontier. Join us! Does someone care to tell me what Dr.’s Woodward and Fearn are up to these days? I haven’t heard a peep out of them on their email list in over two months. I trust everything is fine with Dr. Woodward, healthwise. Hi Abe, please forgive my taking a bit to reply. President Gary tells us: ‘work is proceeding on the NASA NIAC grant and the next public update will come at the NASA NIAC September conference in Denver.’ The plan is that the conference will be streamed.